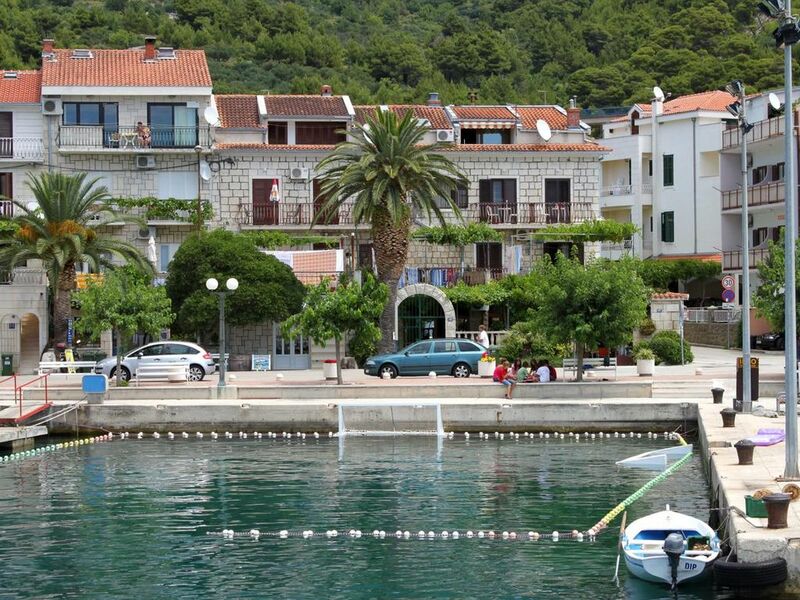 House 2623 in the town of Podgora, Makarska - Central Dalmatia has accommodation units of type Apartment (3), Studio flat (1), Room (1) and is 20 m away from the sea. The nearest beach to this accommodation is a pebble beach. During your holiday, there may be other guests in the house's other apartments. The hosts reside in the house. The house owner is under no obligation to accept additional persons and pets that were not stated in the reservation request and it is necessary to report them in advance. Studio flat can accommodate 2 guests. Beds are situated in 1 sleeping rooms, within 20m2. Guests can enjoy a sea view from the private balcony. Food can be prepared using barbecue which is shared with other guests too. This accommodation unit welcomes pets at an additional charge. INCLUDED IN THE PRICE: tourist tax, final cleaning, air-conditioning, central heating, parking, internet, baby cot, iron, ironing board, hairdryer, portable barbecue. OPTIONAL ADDITIONAL COSTS: laundry (€3.00 washing), pets (€2.00 per night). Das Appartement uebertraf in allem unseren Erwartungen!Klein aber fein! Für 64 Euro die Nacht würde man sich etwas mehr sauberkeit erwarten. Die Sicht vom Balkon aus perfekt....Strand in 5 Min. Zu erreichen...und wunderschön....Vom Zimmer aus sehr laut da durchzugsverkehr am Morgen von Lieferanten etc...trotz geschlossener Balkontür...Klima ok aber auf der falschen Seite man wird ständig angeblasen...auf die Dauer daher nicht Gesund...sonst war alles toll...schöner Urlaub.